Ian Redpath late cuts on his way to 105. 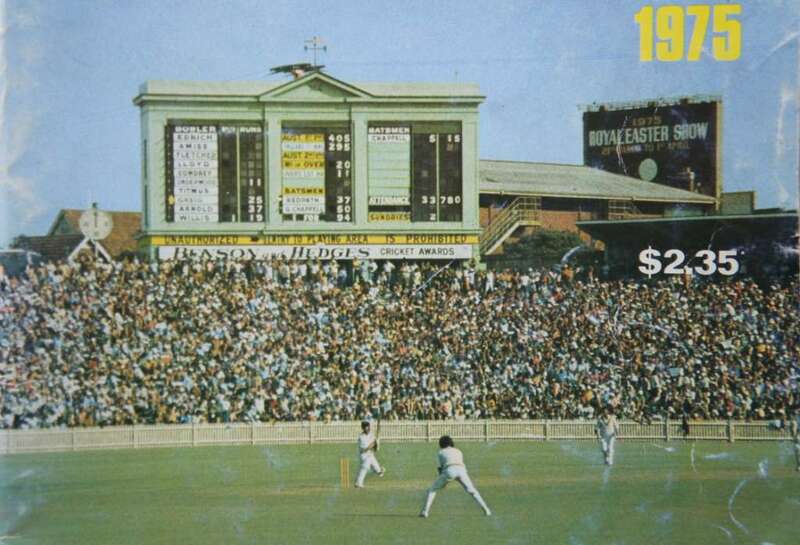 Scoreboard Pressure’s Jeff Lawton spied these photos in an old magazine simply called Australia v England – The 10 Test Matches, 1974/75. The first six Test matches were in the Australian summer and included two Tests in Melbourne. The SCG hosted the fourth Test, which Australia won by 171 runs. The victory, with just 5.3 overs to spare, saw Australia regaining the Ashes. 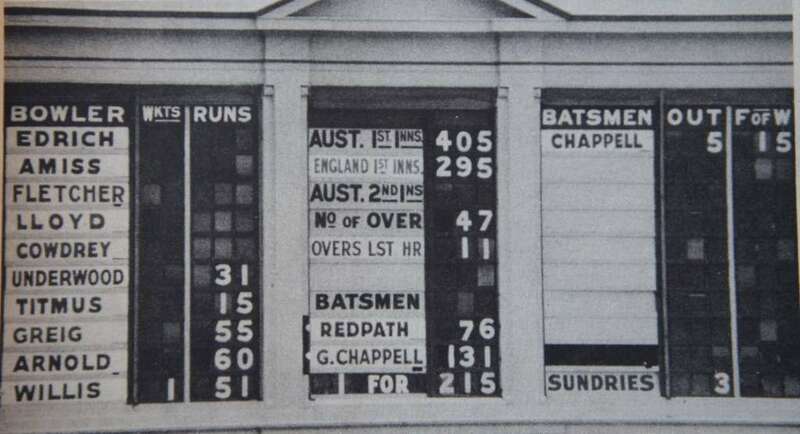 There was then a four Test series in England, which Australia won 1-0.